ClutchXperts STAGE 1 RACING CLUTCH SYSTEM is an one step upgraded clutch setup over stock clutches that handles more abuse and comes with Heavy duty Stage 1 pressure plate with a Stage 1 Organic Racing clutch disc.This clutch is engineered for more for street use and perfect for daily driving with minor or no modifications who wants to have more gripping power over stock clutch system.It is specifically designed for extended wear and additional clamping force for enthusiasts who has added an exhaust system, an intake system and minor external bolt-ones. It features only slightly increased pedal pressure, longer life than stock, and normal clutch feel during engagement and disengagement for a very smooth operation. Our Stage 1 uses a heavy duty pressure plates use for daily and occasional street ClutchXperts Exclusive Friction Composition. 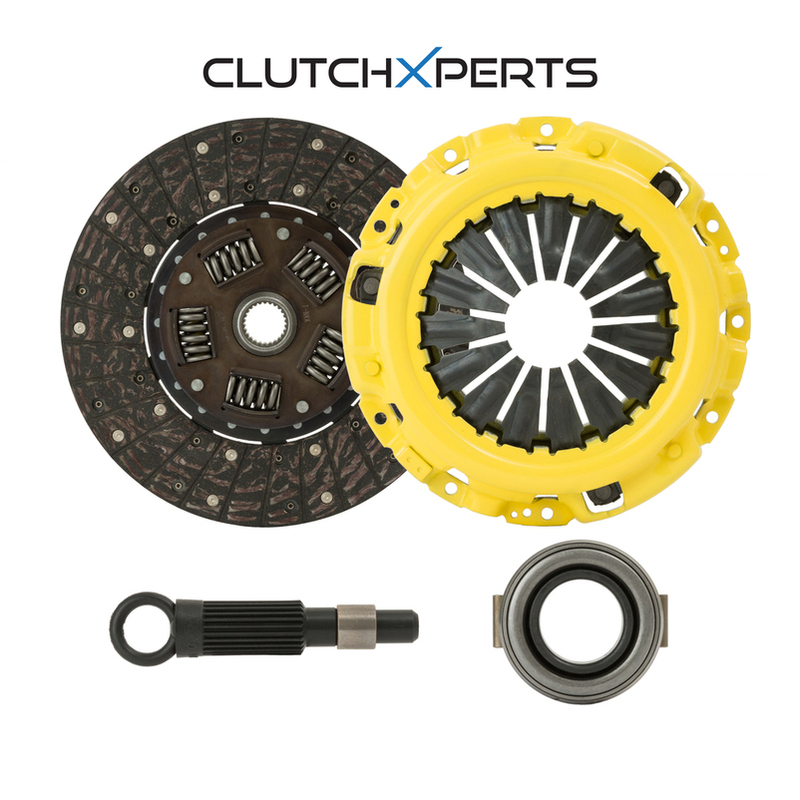 ClutchXperts Stage 1 Organic racing clutches only use premium friction materials that are resistant to slippage and burst. Increased clamp loads give the necessary capacity to handle modified engines. This is the preferred clutch for street and light horsepower track use. Drivability is similar to the stock clutch. Pedal efforts will be slightly higher or similar to stock clutch. All of our ClutchXperts Stage 1 clutch discs have spring center dampers to reduce drivetrain shock. Great for daily use without harsh gears, easily go in and out. All stages come as a complete kit including, pressure plate, disc, throwout bearing, pilot bearing (If requires) and alignment tool. (Individual components available upon request). If you see prices way less than others than competitors that means what you get is what you pay for- Made where country with low labor with low craftsmanship with poor materials.